Dennis has been President of Biel’s since 1985. He began in sales in 1973 and moved in into marketing and sales management in 1980. 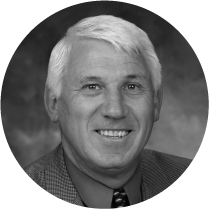 Dennis has been instrumental in moving Biel’s into the digital imaging arena as technology changed from analog imaging (microfilm) to electronic document management. 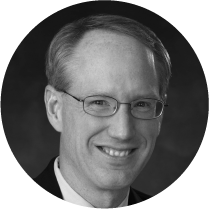 Dennis has an undergraduate degree in economics and an MBA from Washington University (St.Louis) with concentrations in marketing and finance. He has been very involved in Association for Information and Image Management (AIIM) the industry’s professional organization. He was co-founder of the Buffalo Chapter, Chairman of the Service Bureau Executive Committee, received its Masters of Information Technology and served on the International Board of Directors. Doug graduated from Canisius College with a BS in Accounting in 1986. He worked for three years in public accounting where he earned a CPA license. Doug spent 10 years in the manufacturing industry before joining Biel’s in 1999. Married with two daughters, Doug enjoys sports and camping. 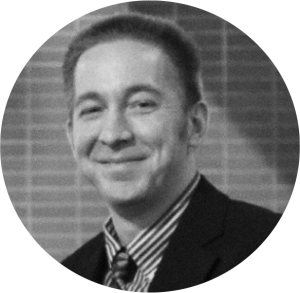 Paul joined Biel’s in 2012 as VP of Sales & Marketing after being part-owner of Technology Solutions, a local document management software company. 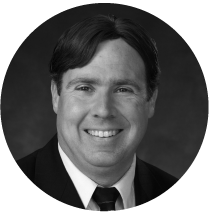 A 30-year sales management veteran, Paul has worked with many area companies. His responsibilities include the coordination of efforts to meet customer needs for scanning, storing, retrieving, and using document information more accurately, efficiently, and securely. Paul lives in Clarence with his wife, is a member of the Association for Information and Image Management (AIIM) and is a graduate of numerous industry training programs. Sal Alfano joined Biel’s in 2005 and became an Area Manager in 2011. A member of the Association for Information and Image Management, his responsibilities include general area management, as well as the coordination of efforts to meet customer needs for scanning, storing, retrieving, and using document information more accurately, efficiently, and securely. He presently serves as a board member of the Buffalo Niagara Sales and Marketing Executives (BNSME). He received a BS in Business Administration from the State University College at Buffalo. 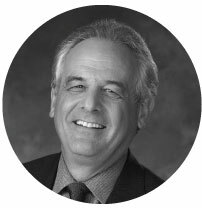 Rick joined Biel’s in 2013 and brings over 30 years of experience within the technology industry, 15 of which in Document Management. 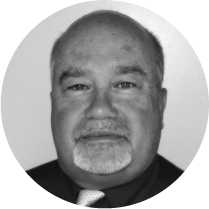 Rick holds an AAS Degree from Erie Community College and has been a CDIA (Certified Document Imaging Architech) since 2001. He is a Member of the Association for Information and Image Management (AIIM) and life-long WNY native who lives in North Tonawanda with his wife and 3 children. Mike joined Biel’s in 2012 after working as an account executive at Algonguin Studios and the American Business Journal/Business First. As an Area Manager covering the Atlanta, GA market, his primary responsibilities at Biel’s include helping his clients find ways to improve efficiency and workflow, maximizing the value of their document management systems, and coordinating services to them. As a member of the Association for Information and Image Management (AIIM) and a graduate of numerous industry training programs, He attended SUNY Geneseo, where he received a Bachelor of Science degree in Business Administration. In his spare time, he is an avid runner and enjoys traveling. 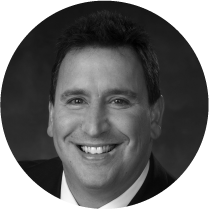 Rich brings over 20 years of experience within the Records Management Industry. He has significant experience in working with companies to help them manage their Documents and Data on a National, State and Local level. Rich earned a BS Degree from Rochester Institute of Technology and lives in Victor with his wife and two children. 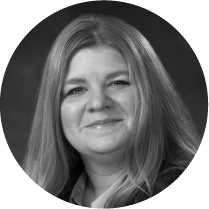 Kelley, a 25-year Biel’s veteran, is a Certified Document Imaging Architech. She most recently served as Biel’s senior technical support specialist. Previously, she had handled installations, technical support, and product training for Scientific Calculations, Inc. in Fairport. A graduate of dozens of industry software training programs, she has helped build the capability and professionalism of the Biel’s team, which, in turn, recently led to the highest customer satisfaction ratings in company history. 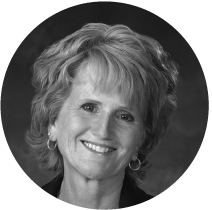 Her responsibilities include working closely with customers to determine document management solutions, coordinate demonstrations, organize work schedules, coordinate installations, and ensure customer satisfaction. Carl has been doing support work since 1988. He has also performed duties in networking, database administration, and simple scripting. Carl holds a BS in MIS and Psychology as well as an MBA from Canisius College. He also has passed a series of exams to earn an MCSE from Microsoft. Carl is a former NYS high school chess champion whose interests include playing volleyball, ice hockey, and spending time with his talking African Grey parrot named Charlie. Gabe joined Biel’s in 2011 as the Lead Digital Operator after obtaining an A.A.S Degree in Information Technology from Erie Community College, in which he was an honorary member of the Dean’s List. In the spring of 2013 he was awarded the position of Support Specialist, and his primary responsibilities involve delivering technical support for software installation and operation to valued customers. Janelle started with Biel’s in 1999 as a typist. Aside from working at Biel’s, she also tutored math and accounting at the Audrey Bard Center and interned in the Finance Department at Rich’s Products. A short time after obtaining her Associates in Business Administration in which she was a member of the Phi Theta Kappa Honor Society, she became Digital Operations Manager and in the spring of 2011, Janelle took over as Biel’s Production Manager.In December of 2015 Janelle became Biel’s Project Manager. Janelle is an active member of the Blasdell Elementary PTA, and is a participant in the United Way Day of Caring along with several other community and professional organizations. Darrell joined Biel’s Information Technology Systems in 2005 as the Service Department Manager after several years at Ikon Office solutions working in the copier division as both technical support and management. He attended Niagara Community College for his Associates in Communications. 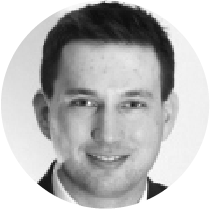 Patrick joined Biel’s in 2015 as Production Manager after working as production manager at Avalon Document Management. He worked for 13 years in the property maintenance industry as site supervisor, account manager and operations manager. He graduated from the University at Buffalo with a Bachelor’s degree of History in 2008. Patrick enjoys golf, billiards and has tutored math, government and history. Kristen is a graduate of Houghton College in Houghton, NY, and holds a Bachelors’ of Business Administration Degree, with a Human Resources Minor. She brings over 8 years of municipal accounting and personnel experience, coupled with an additional 5 plus years in the private sector. Kristen serves as the Accounts Payable Specialist for Biel’s as well. She also is a Steering Committee Member of the PANY-SHRM Chapter. As an avid outdoor recreation enthusiast, she enjoys snowmobiling, boating, snowboarding and many more outdoor activities.